Click on the links below to explore units and everything else about Teton Creek Condominiums. 22 units to choose from. Our rentals in Teton Creek Condominiums accommodate up to 153 people in 22 units. These 1, 2 and 3 bedroom condominiums are located just 4 miles from Grand Targhee Ski and Summer Resort, and 8 miles from downtown Driggs. All units have full kitchens, a living area and access to the shared outdoor hot tubs within the complex (closed April 15 - May 31 and September 15 - Thanksgiving). There are four buildings: Bannock has 1 and 2 bedrooms, Dreamcatcher has 1, 2 and 3 bedrooms, and Shoshone and Blackfoot both have 2 and 3 bedrooms. 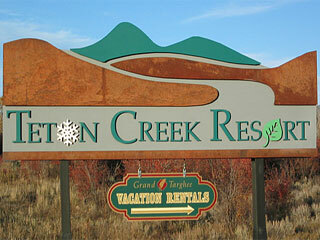 Teton Creek Condominiums offer the perfect balance between town life and resort convenience. Situated along Teton Creek, the sounds and setting alone will put you into a relaxed state, and that's before you even step inside. You will also enjoy all the resort benefits offered to slope-side resort lodging guests. 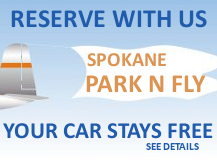 Convenient shuttle service to and from the resort is available by appointment during the winter season. Wireless internet access available at Teton Creek Resort 24 hours per day, best signal achieved from the lobbies in the Dreamcatcher and Bannock buildings. General Location: Located off Ski Hill Road, 8 miles to Driggs and 4 miles to Grand Targhee Resort. Specific Locations for Teton Creek Condominiums Map?